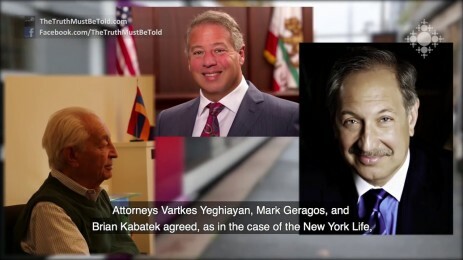 Lawyers Vartkes Yeghiayan and Samuel Shnorhokian on the embezzlement of the AXA settlement funds intended for the heirs of the Armenian Genocide victims in a film made by Shoghakat TV Company and subtitled by TheTruthMustBeTold.com. 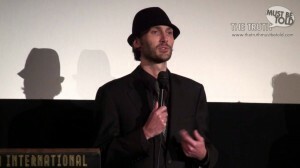 The Shahan Natalie Family Foundation, Inc. and The Truth Must Be Told present a special 3-hour program called “Inspiring Hope: Thanksgiving Tribute to Shahan Natalie,” on Thanksgiving day, November 26, 2015. 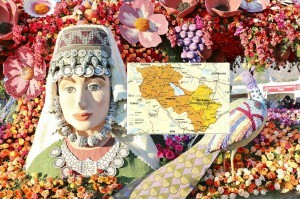 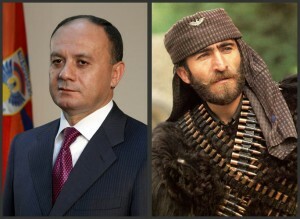 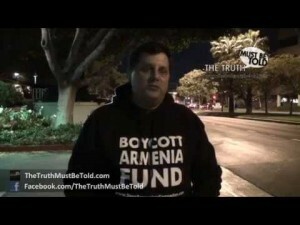 Armenia, Corruption, Diaspora, Genocide, U.S.
Who Bastardized the History of Nomads? 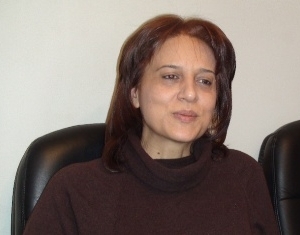 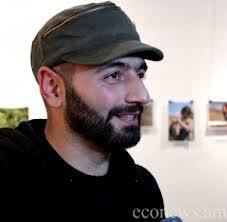 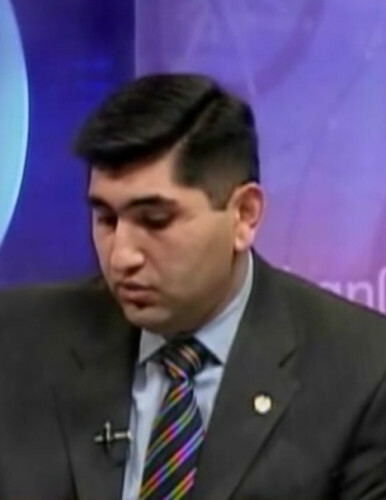 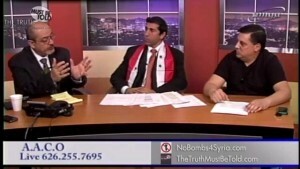 Johnny Achi, Arab Americans for Syria activist, and Ara Manoogian, a human rights activist, an investigative journalist and founder of NoBombs4Syria.com, were interviewed on Bedros Hajian Live show about ISIS, Syrian crisis, and U.S. role, on January 24, 2015. 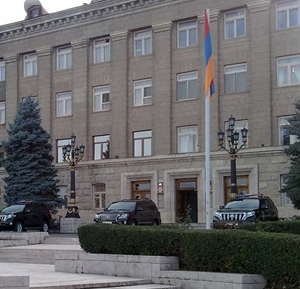 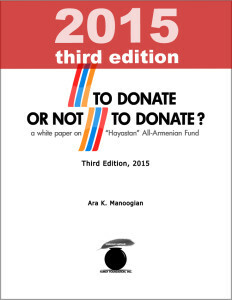 "Hayastan" All-Armenian Fund, Armenia, Corruption, Corruption in Armenia, Corruption in Artsakh, Diaspora, U.S.
"Hayastan" All-Armenian Fund, Armenia, Artsakh, Charity, Corruption, Corruption in Armenia, Corruption in Artsakh, Diaspora, U.S.
"Hayastan" All-Armenian Fund, Armenia, Artsakh, Charity, Corruption, Corruption in Armenia, Diaspora, U.S.
Azerbaijani Armed Forces Down Artsakh Helicopter Near the Line of Contact between Artsakh and Azerbaijan, in Agdam region, on November 12, 2014. 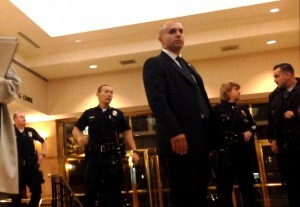 Three officers were killed. 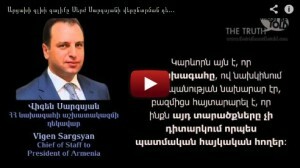 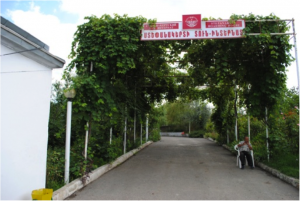 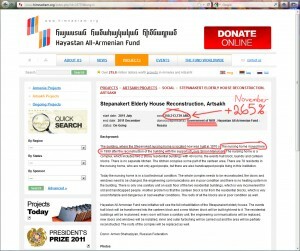 Corruption, Diaspora, Syrian Crisis, U.S.
"Hayastan" All-Armenian Fund, Armenia, Charity, Corruption in Armenia, Diaspora, U.S. 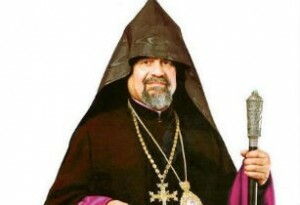 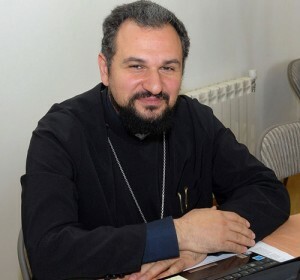 In an interview to Gala TV, Nikolay Tsaturyan, a theatrical director and People’s Artist of Armenia, called Garegin II, Catholicos of All Armenians, a true Satan. 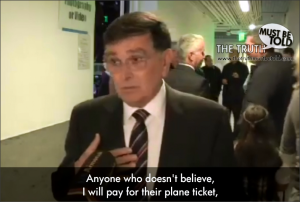 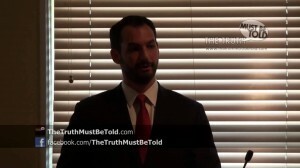 The video has been subtitled in English by The Truth Must Be Told. 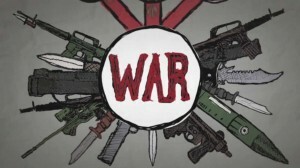 How U.S.-Funded Wars Abroad Affect Small Towns in U.S. 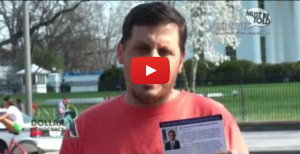 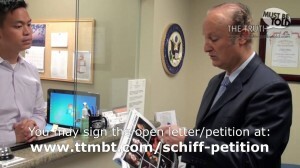 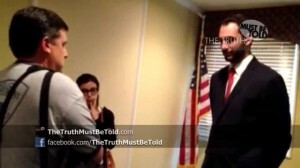 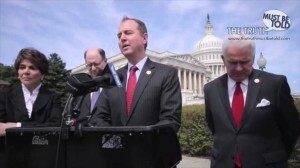 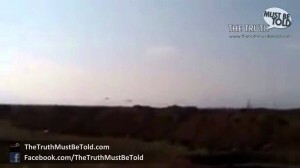 This is an update (April 29, 2014) to a developing story, “Congressman Schiff Promises to Discuss Syria with Constituents,” at https://www.youtube.com/watch?v=fpxVaYSgYa4. 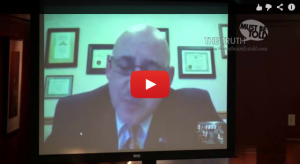 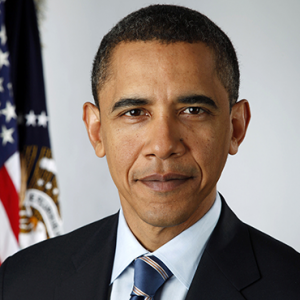 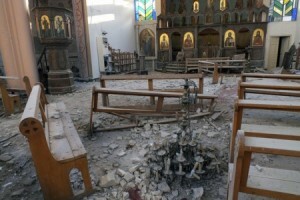 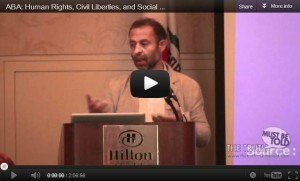 Diaspora, Genocide, Syrian Crisis, U.S. 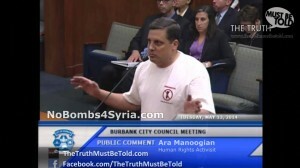 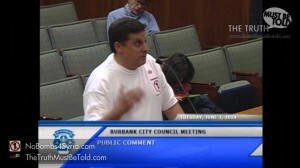 Congressman Adam Schiff spoke about the Armenian Genocide, and human rights activist Ara Manoogian spoke about the Syrian Crisis at the Burbank City Council Meeting on April 22, 2014. 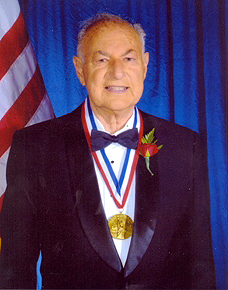 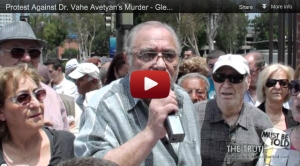 William Bairamian, publisher of The Armenite, was honorable guest at the 2014 Armenian Genocide Vigil organized by the Armenian Students’ Association of the CSUN. 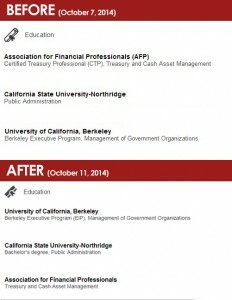 The event took place on April 21, 2014, at CSUN (Northridge, CA). 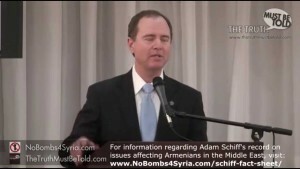 Congressman Adam Schiff was the keynote speaker at the 2014 Armenian Genocide Vigil organized by the Armenian Students’ Association of the CSUN. 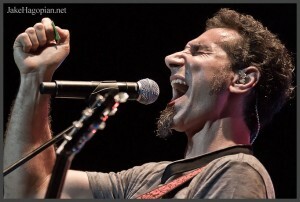 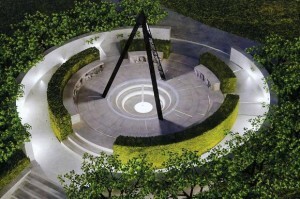 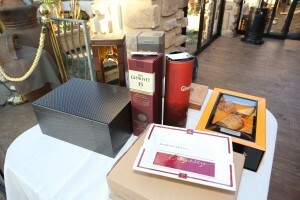 The event took place on April 21, 2014. 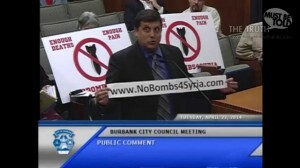 Community Forum on “United States Involvement in the Syrian Crisis” dedicated to the situation in Syria took place on Friday April 18 from 7-9 PM at the Glendale Public library. 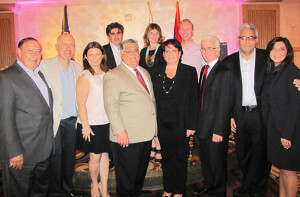 The event was attended by close to 100 people. 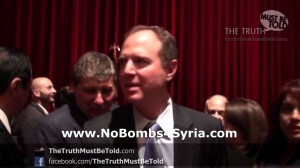 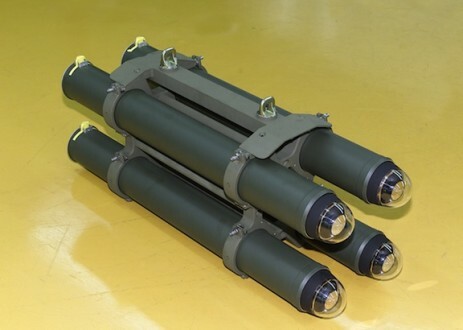 There is information that a vote may soon come up in Congress to propose U.S. bombing in Syria to help the opposition overthrow the Syrian government. 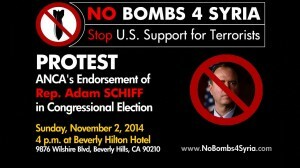 Please call your Representative in Congress and ask them to vote NO. 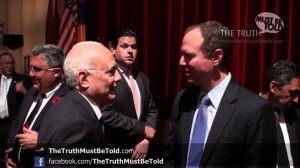 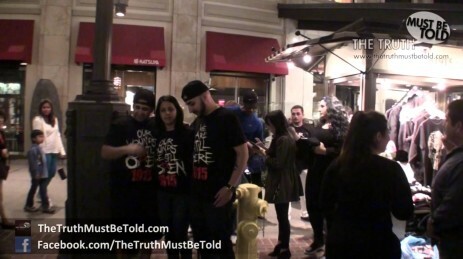 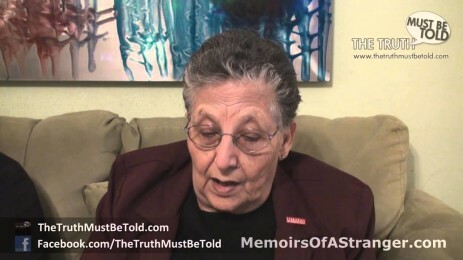 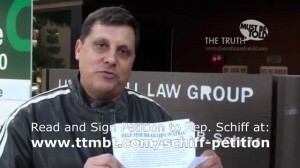 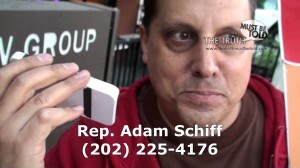 Ara Manoogian of www.TheTruthMustBeTold.com announces April 5, 2014 Protest at 6:30 p.m. in Glendale, CA and gives update from Rep. Adam Schiff’s office. 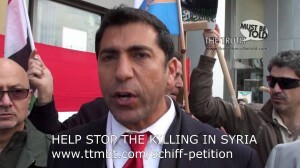 300-400 people gathered in front of the Turkish Consulate in Los Angeles, on March 28, 2014, to protest Turkey’s involvement in the recent attacks on Kessab and other areas in north-western Syria, and the massacres of Christian minorities. 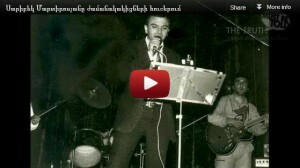 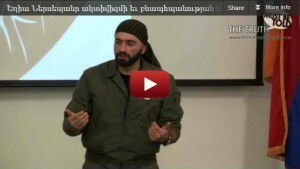 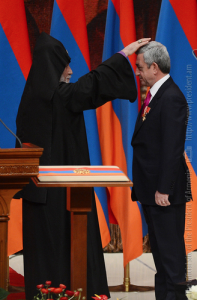 Armenia, Diaspora, Syrian Crisis, U.S.
Manvel Grigoryan’s description of Serzh Sargsyan during the 10th Assembly of the Yerkrapah Volunteer Union in Yerevan, February 15, 2014. 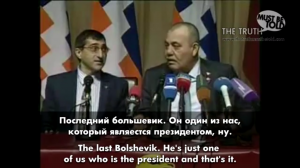 (ENGLISH & RUSSIAN SUBTITLES). 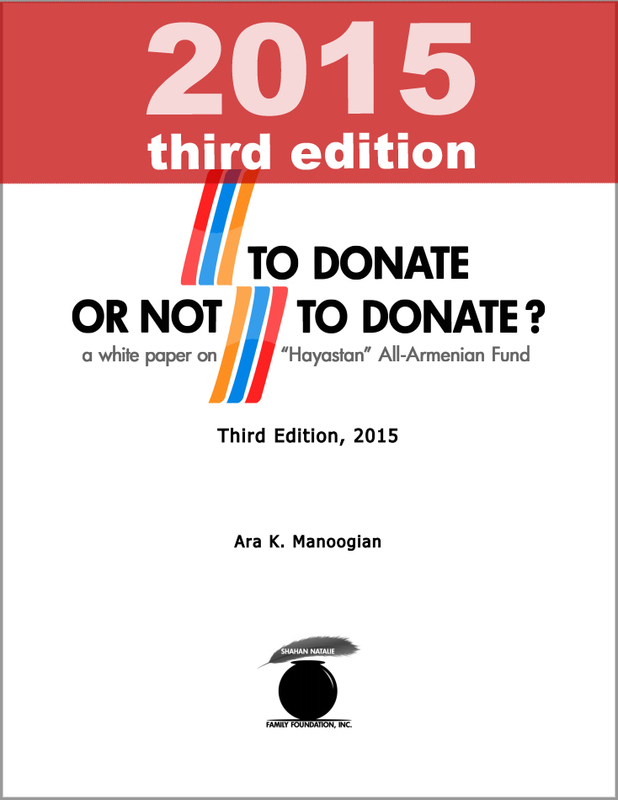 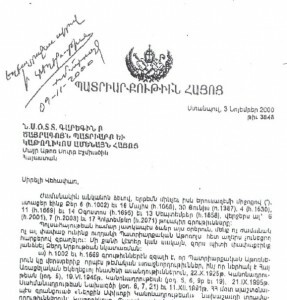 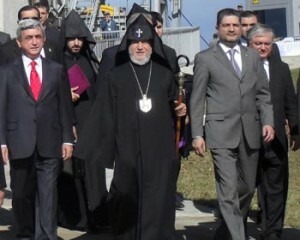 Armenia, Corruption in Armenia, Diaspora, U.S.
"Hayastan" All-Armenian Fund, Armenia, Artsakh, Charity, Corruption in Armenia, Corruption in Artsakh, Diaspora, Oligarchs, U.S.
"Hayastan" All-Armenian Fund, Armenia, Charity, Diaspora, U.S.
"Hayastan" All-Armenian Fund, Armenia, Artsakh, Charity, Corruption in Armenia, Corruption in Artsakh, Oligarchs, U.S.
"Hayastan" All-Armenian Fund, Armenia, Artsakh, Charity, Corruption in Armenia, Corruption in Artsakh, Diaspora, Gagik Tsarukyan, Oligarchs, U.S.
Dedon Kamathi, KPFK Program Producer of Freedom Now, shares his insight on the Syrian conflict at the Glendale Public Library, on October 19, 2013. 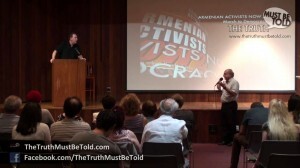 Johnny Achi, Coordinator of Arab Americans for Syria, shares his insight on the Syrian conflict at the Glendale Public Library, on October 19, 2013. 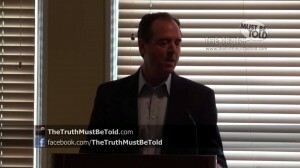 John Parker, West Coast Coordinator of the International Action Center, speaks about the Syrian conflict at the Glendale Public Library, on October 19, 2013. 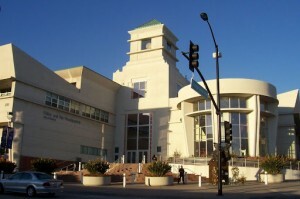 Anisa Abeytia, a holistic nutritionist and writer, opines on the Free Syrian﻿ Army at an event dedicated to the Syrian conflict at the Glendale Public Library. 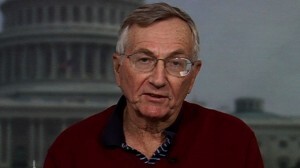 After a recent visit to Syria, Ramsey Clark, former U.S. Attorney General and founder of International Action Center, shares his findings. 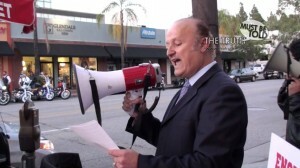 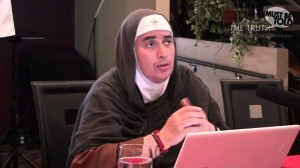 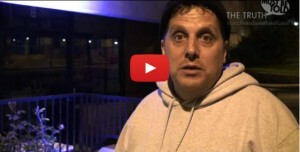 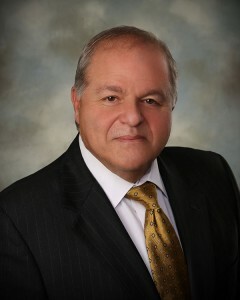 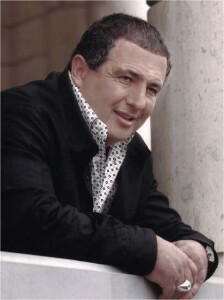 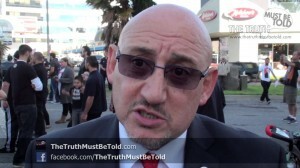 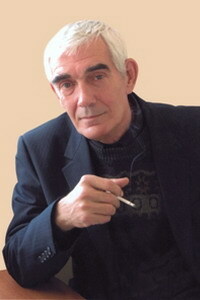 Robert Davidian, Film Director, is the guest of the October 8, 2013 episode of the Truth Must Be Told TV Show broadcast live, with calls from TV viewers. 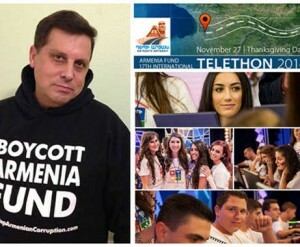 August 27, 2013 episode of The Truth Must Be Told TV show was dedicated to the issues of the Armenian community of Nice, France. 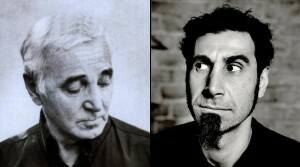 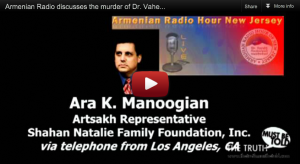 The interviewees are Zareh Mardirosian, Aram Kartun, and Natalie Karakelian. 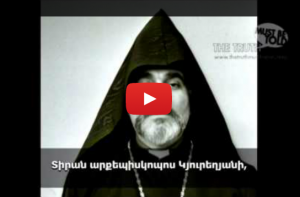 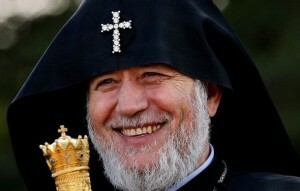 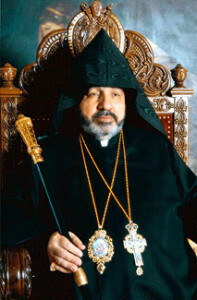 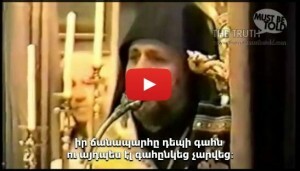 Armenian Catholicoi Dethroned։ Who Is Next? 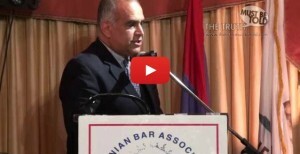 Armenian Bar Association organized an event in Glendale, CA, to celebrate the 95th Anniversary of the Independence Day of the First Armenian Republic, on May 28, 2013. 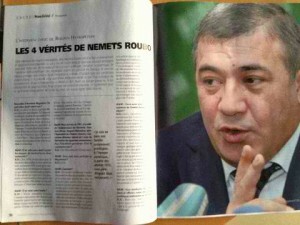 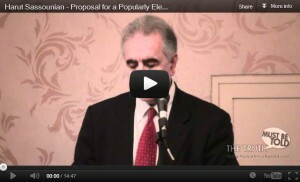 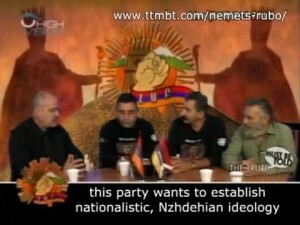 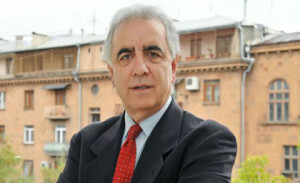 Raffi Hovannisian, people’s choice for Armenia’s President 2013, was a special guest. 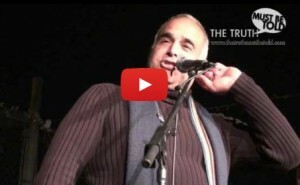 Raffi K. Hovannisian was special guest at Rhapsody in Orange… of Song, Dance, and Music organized in Los Angeles, CA, on May 31, 2013. 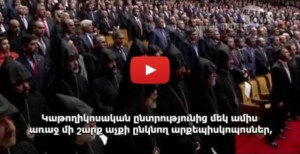 This is the recording of the 10th episode of The Truth Must Be Told TV Show about Karekin II his fraudulent election and who is qualified to elect a Catholicos. 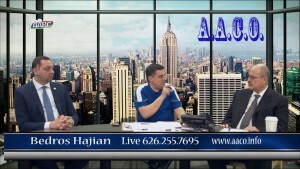 It was a live call-in show, broadcast on AMGA. 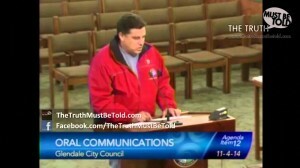 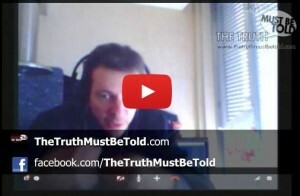 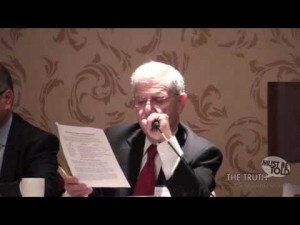 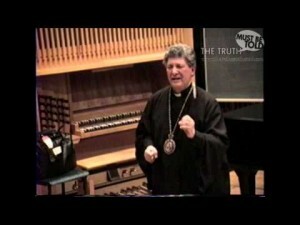 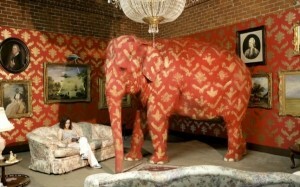 This is the recording of the 9th episode of Truth Must Be Told TV Show. 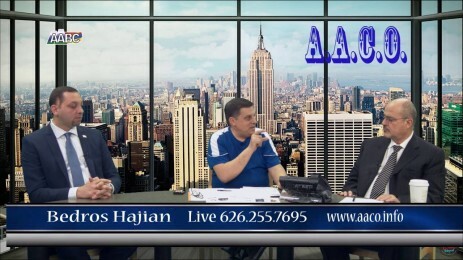 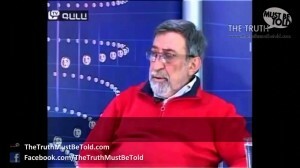 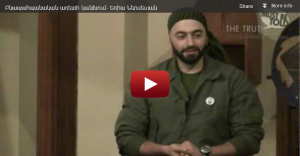 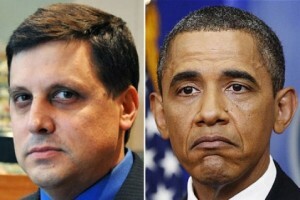 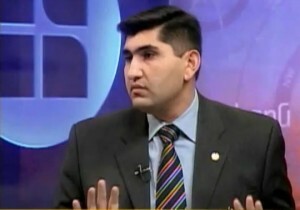 It was a live call-in show with regard to Karekin II and his fraudulent election. 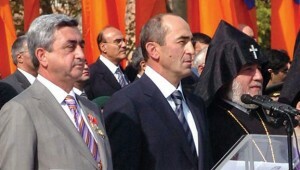 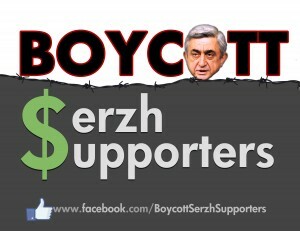 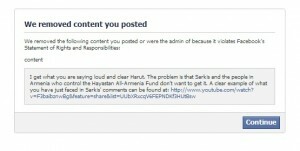 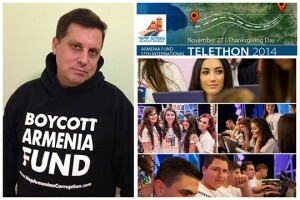 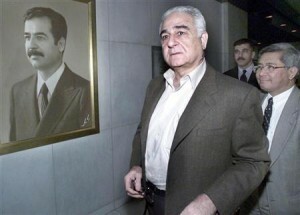 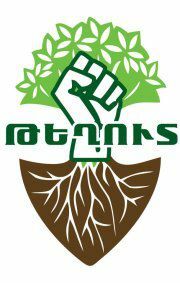 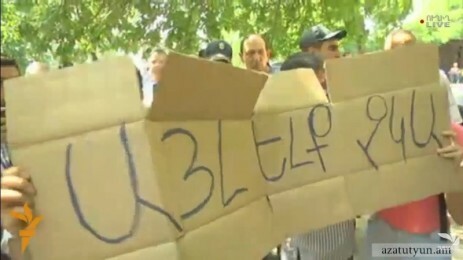 Armenia, Corruption in Armenia, Diaspora, Election, Hunger Strike, U.S.
Armenia, Corruption in Armenia, Diaspora, Election, U.S.
Mission Statement: Boycott Serzh Supporters is a worldwide, unaffiliated Armenian community group that condemns Serzh Sargsyan’s usurpation of Armenia’s presidential office for a second 5-year term (2013-2018) by rigging the election. 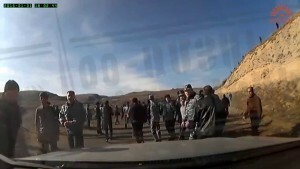 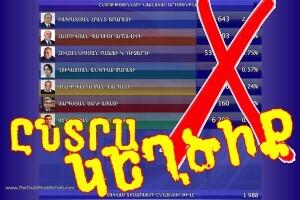 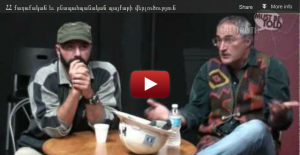 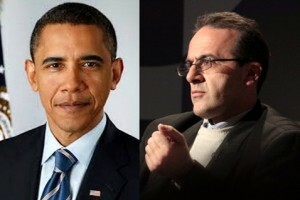 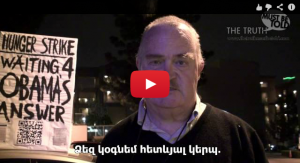 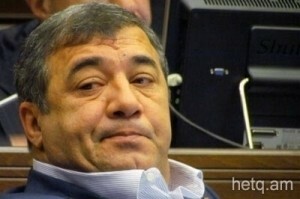 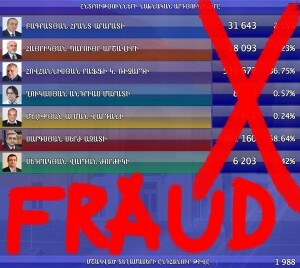 Corruption in Armenia, Election, Hunger Strike, U.S. 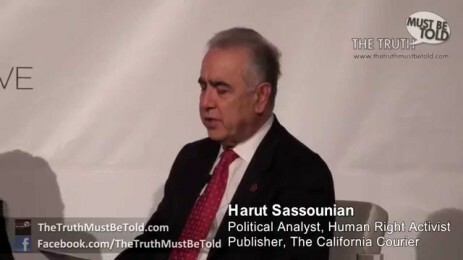 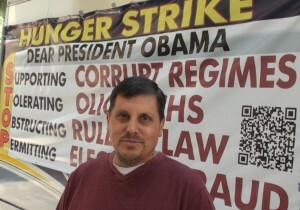 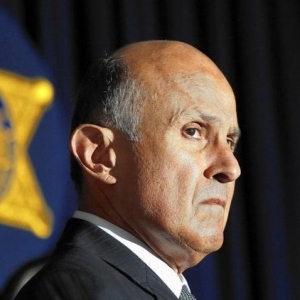 This is a compilation of various fragments from Ara K. Manoogian’s cross-country trip from Los Angeles, CA, to Washington, D.C., for the sake of democracy and rule of law. 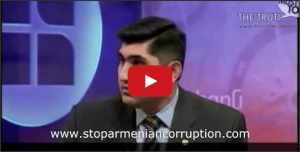 A roundtable on Election/Post-Election developments in Armenia was organized by Policy Forum Armenia, on April 8, 2013, in Washington, D.C.
Armenia, Corruption in Armenia, Diaspora, Election, Oligarchs, U.S.
Armenia, Corruption in Armenia, Election, U.S.
Armenia, Artsakh, Corruption in Armenia, Diaspora, Election, Hunger Strike, Oligarchs, U.S.
Armenia, Corruption in Armenia, Election, Hunger Strike, U.S.
Ara K. Manoogian summarizes the most notable incidents that took place on the third day of his hunger strike. 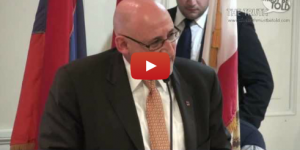 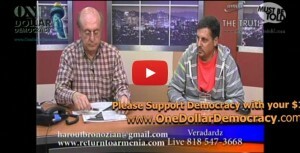 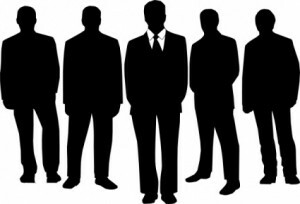 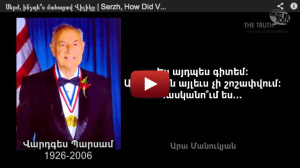 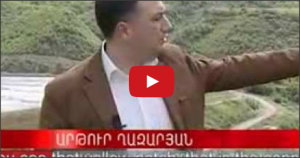 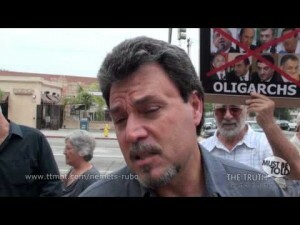 Armenia, Corruption in Armenia, U.S.
Armenia, Corruption in Armenia, Diaspora, Oligarchs, U.S. 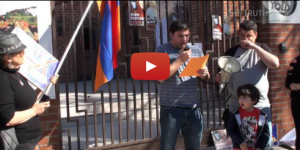 In Glendale, CA, the third March of Solidarity took place in support of the struggle against the consequences of election fraud in Armenia, and with the demand to restore Armenian citizens’ right to vote outside Armenia, on March 10, 2013. 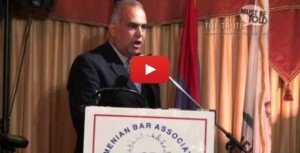 Armenian Bar Association Chairman Garo Ghazarian’s speech at Rally for Armenia, kwhich took place at St Mary’s Armenian Apostolic Church in Glendale, CA, on March 3, 2013. 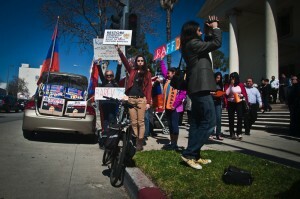 In Glendale, CA, a March of Solidarity took place in support of the struggle against the consequences of election fraud in Armenia, and with the demand to restore Armenian citizens’ right to vote outside Armenia, on February 24, 2013. 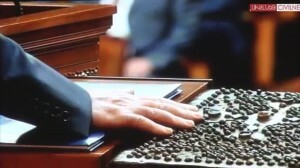 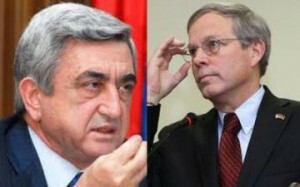 Armenia, Corruption in Armenia, Election, Oligarchs, U.S. This is the 23rd Annual National Meeting of the Armenian Bar Association, which took place on May 19, 2012, in Glendale, CA.